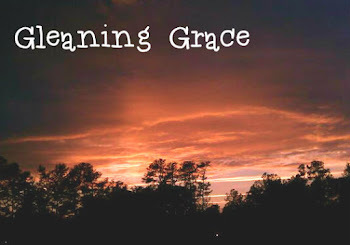 Gleaning Grace: Just WRITE, right? As in, compose; put words on paper; make a story. Not RIGHT, as in correct; the opposite of wrong or left. But to just write is just so hard! It’s why I haven’t done it in awhile. A few words about what’s been going on? That question has plagued me the last week or two. I know being a Mom is a daily challenge – one that I welcome- but a challenge no less. I know my kids are so important to me, and raising them to be good responsible people is an ever-pressing priority. I know this task seems impossible in the midst of all the other things I have going on. BUT I also know that I am capable of this task and so many others that God sees fit to bless me with. at Five Minute Friday today. Writing is for sure more difficult than it seems! I love the simplicity of "write what you know" and that you ended your post with that today. Hopping over from everydayawe.com for Five Minute Friday.